Kourtney Heintz writes award winning cross-genre fiction that melds speculative fiction, mystery, thriller, and literary into an unforgettable love story. For her characters, love is a journey never a destination. Her debut novel, The Six Train to Wisconsin, is a 2014 National Indie Excellence Awards Winner, 2014 Readers' Favorite International Book Awards Bronze Winner, 2013 USA Best Book Awards Finalist, a 2014 EPIC Ebook Awards Finalist, 2014 International Book Awards Finalist, and a 2012 Amazon Breakthrough Novel Award Semifinalist. In The Six Train to Wisconsin by Kourtney Heintz, Oliver and Kai seem like your average couple living in New York City; he is a financial adviser and she helps at risk children. But there's more to the two of them than what first meets the eye. Kai is a telepathic and the pressures of blocking out eight million voices is beginning to get to her. After a particularly bad night, Oliver takes her away from the city and to his childhood home in Butternut, Wisconsin, but there is more to that small town than you think. The Six Train to Wisconsin is one of those novels that has blurbs all over the back saying things like 'evocative', and 'brilliant', and 'I couldn't put it down' - praise that is well deserved. 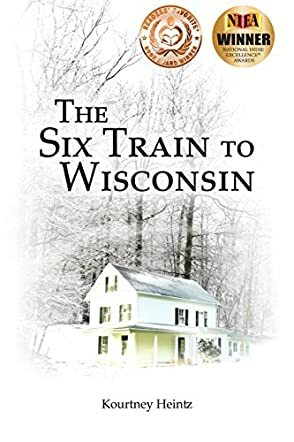 A richly layered novel, The Six Train to Wisconsin gently pushes at the reader's expectations, then exceeds them, turning what could almost become kitschy in more inexperienced hands to something with an almost literary bent (if the literary genre ever decided to dabble in the paranormal). It was an enjoyable read, and I can see why The Six Train to Wisconsin was the 2012 semifinalist for Amazon Breakthrough Novel Award. My only complaint is that I wish the ending had stretched on a little longer. I was dying to know how everything was resolved with the characters but who knows, maybe I’ll get lucky and Ms. Heintz will pen a sequel (both fingers crossed).